NaPoWriMo, Day Five | What Rhymes with Stanza? I’m participating in the National Poetry Writing Month challenge, writing a poem a day based on a specific prompt. So far, I’ve been running a day behind, but today I’m going to catch up and try to stay on track. Whew! Hopefully easier done than said. So I opened up the photo gallery on my laptop, closed my eyes and pointed. I came up with this shot I took of Mt. Hood in Oregon, USA in 2013. So far, so good. Then I went looking for a poem, and found one written in Slovakian, coincidentally titled “Mountain.” The poem was hecka long, though, and seemed rather daunting. I decided to see what other bloggers were up to, and checked out “Mexi Movie the Third” to see Manja’s entry for today’s challenge. Wisely, Manja had chosen a four-line poem written in Afrikaans. Now that seemed much more manageable. Well, now. That was interesting… Wonder what fun tomorrow’s challenge will hold. This entry was posted in creativity, daily prompt, poetry and tagged Mt. Hood, NaPoWriMo 2018, poetry, translated poem. Bookmark the permalink. Hahha, most excellent! I certainly don’t mind and I hope Hester won’t mind either, even though I don’t know her at all. 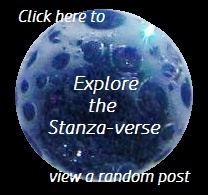 Now a little trick – if you look at her post again, you will notice another poem in English, a haiku, below this one in Afrikaans, and guest what – they tell the same thing! Just in case you were wondering what her poem was about. Yeah… maybe I should have taken a bit more creative license with that one. I like the notion of inhaling the view, touching the view with my outstretched hand. A poem for another day, perhaps. Interesting… Like the prose. And the easy narration. The poem also befits.